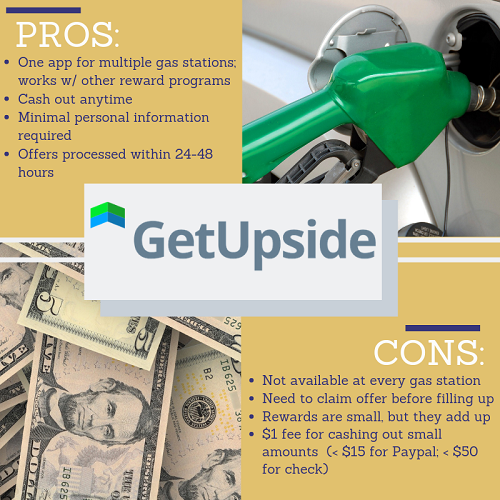 GetUpside partners with local gas stations to give customers a reward every time they use the app before filling their gas tanks. 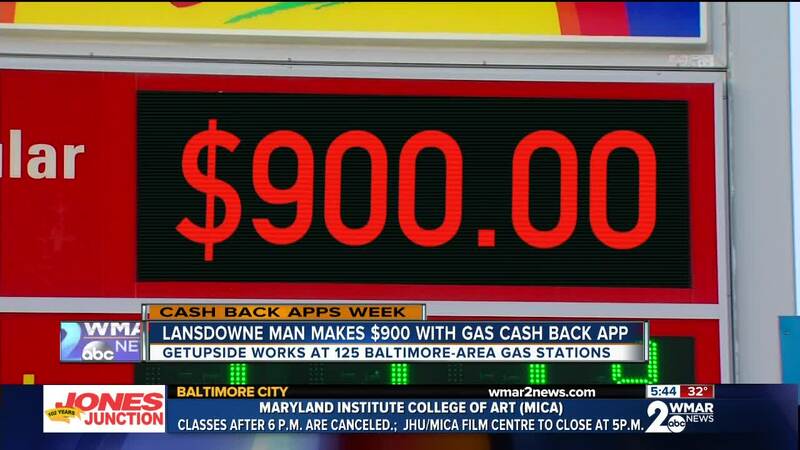 BALTIMORE — In the last two years, Ricky Repass has earned $900 by using the gas cash back phone app called GetUpside. He's not a spokesperson for the company. Repass lives in Lansdowne and drives a lot for work. He fills up around every three days, but before he does, he finds a gas station that offers cash back for every gallon purchased. "If you were here, you could hit the button, hit claim, pump your gas, take your receipt and take a picture of it, and you'll get five cents a gallon on that BP," said Repass. The catch seems to be that not all gas stations are on the app, so if you're not already low on fuel, Repass said you can get a pretty good deal. “Personally, since I travel, I can get pretty good rates. I get up to 25 cents a gallon back,” he said. GetUpside co-founder and COO Wayne Lin said the discounts vary by gas station and user. And if you're skeptical about what they get in return, Lin says they make a profit, but it's from the gas stations. “When profit is generated for the merchant, then we take a percentage of that profit,” Lin said. He says there's no behind-the-scenes data sharing or selling. “You can click the sign up with Facebook button, you can click the sign up with the Google button, or you can sign up with email. If you sign up with email, we don't ask you for your name, address, or anything like that. It's literally just give us an email address so when you earn cash back we know where to send it,” Lin said. Repass loves getting that check in the mail. He said it’s a nice bonus for what used to be an everyday hassle. “I spent it all on things for the kids, we just did Christmas presents with about $100 of it, just whatever, free money,” said Repass. According to the company, more than 1 million users nationwide have earned $10 million in cash back. And the app is still growing. Lin said their goal for 2019 is to get enough gas stations to sign-up so that someone in Baltimore can take a cross-country road trip and use GetUpside for every stop. So far, 125 gas stations in the Baltimore-area offer deals on GetUpside. They also have plans to roll out these discounts at local grocery stores and restaurants. The average cash back earnings for GetUpside users in the Baltimore area is around $13. 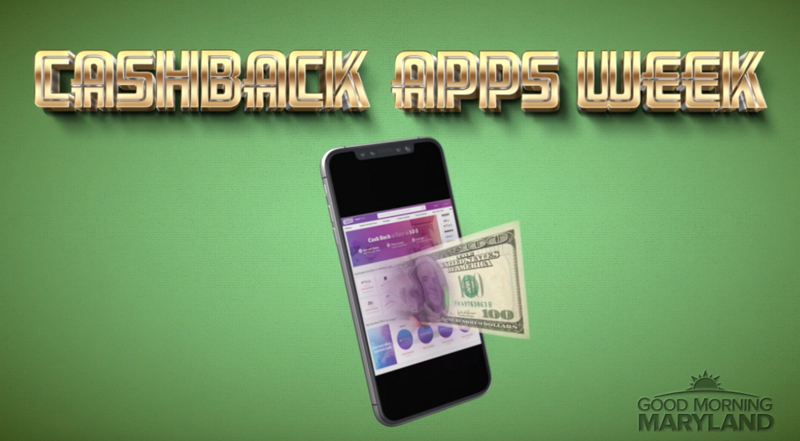 All week on Good Morning Maryland, WMAR-2 News Mallory Sofastaii has reported on different cash back apps that pay for everyday tasks like pumping gas, shopping online, even walking. To see her stories and hear from local people who have earned anywhere from $500 - $900, click here .